Oranges heal 1.5 hunger points each. 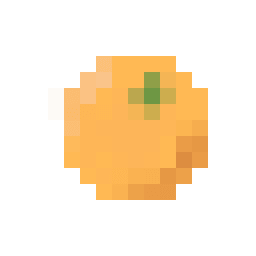 Oranges can be naturally found in forest biomes alongside with apples and lemons. In order to obtain the orange, you can break the leaf block it's in. Oranges are not in Minecraft, the game that inspired Mine Blocks.